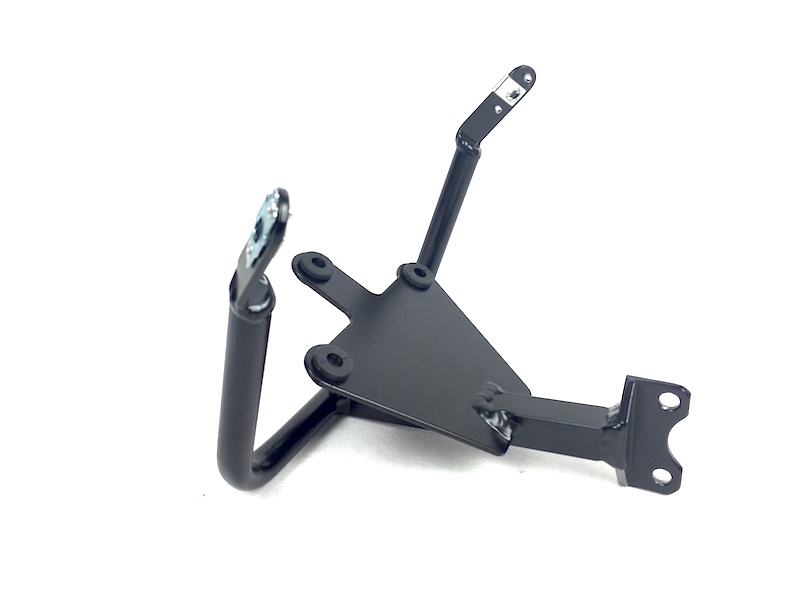 Lightweight duralumin racing front bracket for instruments and upper part. 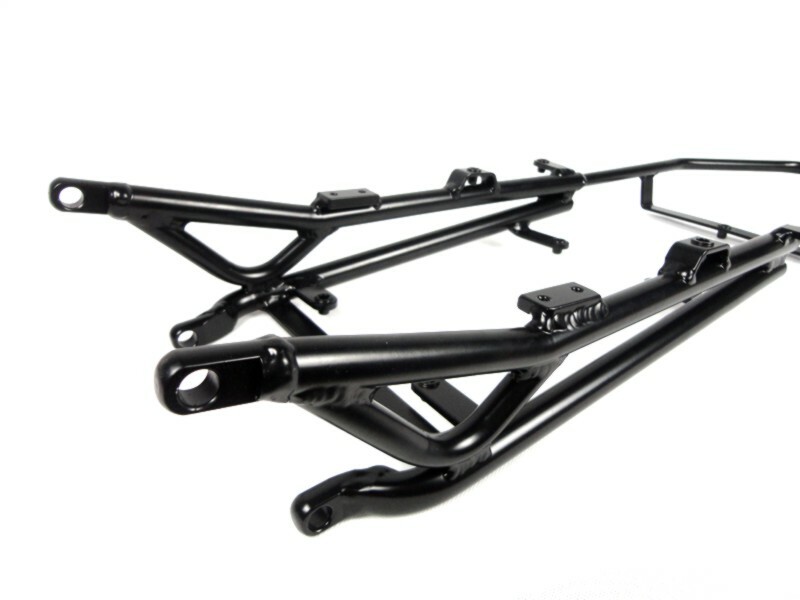 Much cheaper replacement of the original front bracket with correction possibility after the fall. Its cca about 30-50% cheaper than original front bracket. Its made from duralumin and the surface is coated by black paint. Design is light and strong, so as to meet the needs of racing. Fasteners (allen head) with washers. The front bracket is for use with original instruments (tachometer). Unlike fragile original high toughness. When the fall of the motorcycle have a lower risk of total destruction. Mostly it can be straighten and finish the weekend after repair. Easy installation by exchange for original front bracket.